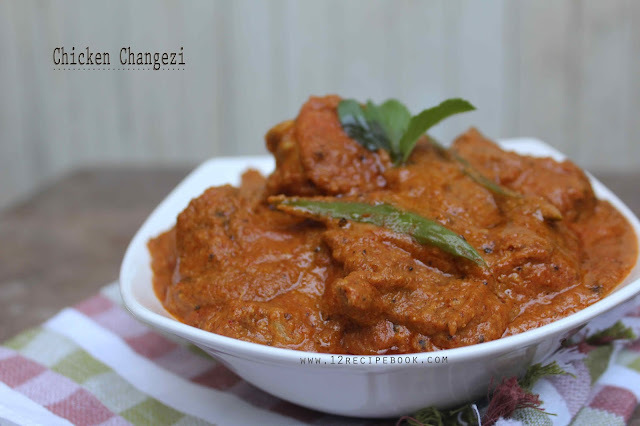 Chicken changezi is a traditional creamy and rich Mughalai chicken recipe. It is a perfect pair with naan or roti. 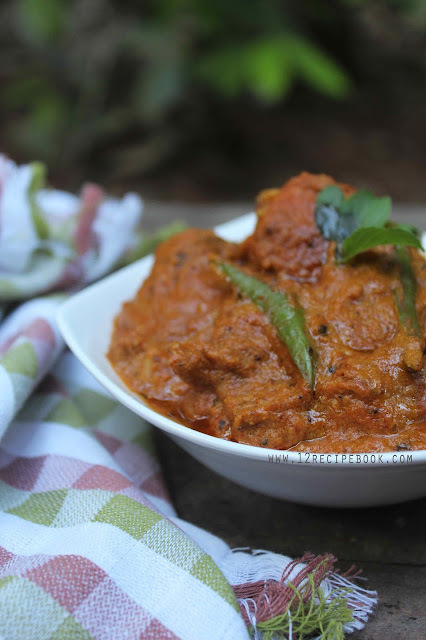 All Mughalai recipes are rich and creamy texture and of course finger licking good. Try this unique preparation and serve to your loved ones. Marinate the chicken pieces with ingredients from 2-8; keep in fridge for half an hour. Boil two tomatoes in water for 5 minutes. After cools down; peel its skin and make a puree with it in blender; keep aside. Heat a tablespoon of ghee in a pan; add sliced onion and cashews; saute for few minutes until slight golden in color. Take it out from the pan; allow to cools down; add it in to a blender along with water and make a thick puree out of it. Heat the pan with another tablespoon of ghee; add ginger garlic paste; mix well for a minute. Add tomato puree; mix well. Add onion cashew paste, marinated chicken pieces, enough water and little salt; mix well and cover the lid; cook for about 15-20 minutes or until the chicken pieces get nicely cooked and oil floats on top (stir often). After that add kasoori methi, fresh cream, green chillies and coriander leaves. Note: You can add milk instead of water for making this curry to make it more rich .